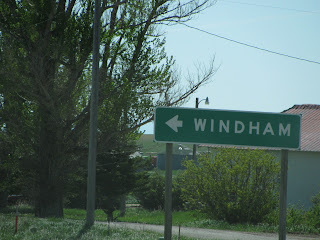 We went by Windham, Montana. Hey Becky--any relatives there???????? Finnegan has become a good little RVer. He hasn't needed his ACE since our second day of travel. Bentley and Jonathan are great travelers. 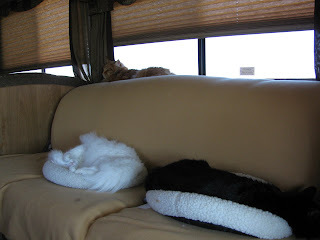 Here they are dozing as we ride along. 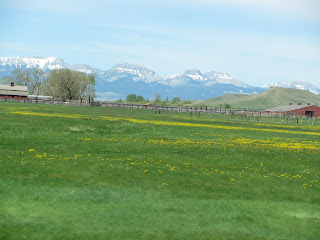 The Montana country side was beautiful. One side of the state looked very different from the other and we literally went from one side to the other. The campground we stayed at in Great Falls had live cowboy entertainment. 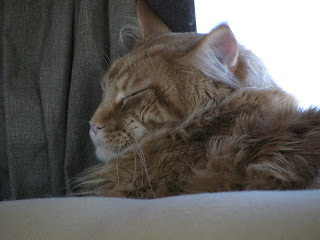 We could hear the music from our site while we sat outside and cooked hamburgers on the grill with the kitties. This is a coffee shop. With this shape a drive up window would be a little difficult. 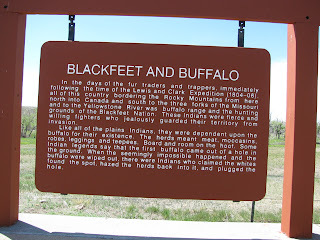 We left Glacier on Friday for Great Falls. 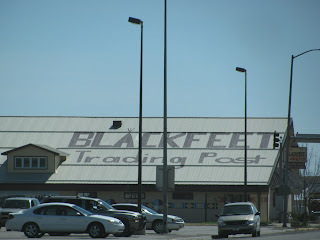 Again we passed thru Browning, Montana which is part of the Blackfeet Reservation. We noticed throughout the reservation what appeared to be a lot of poverty and very unkept homes with junk cars everywhere. 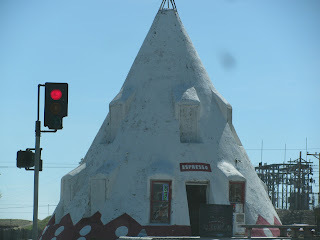 The was lots of trash and beer bottles along the highways.